In January 2012 11/4 Battery was officially re-established as a Battery under the Command and Control of 16th Field Regiment, RNZA. Prior to this it had come under the Command and Control of 3rd Auckland North Battalion, along with the remainder of the other ‘funnies’ – Engineers and medics, who share the Battalion’s floor space in Arch Hill. For 11/4 Battery, this is an exciting time. Primarily, it has provided an opportunity to refocus and hone artillery skills after more infantry focused training whilst with 3rd Auckland North Battalion. Jan-Feb 2013 saw a comprehensive coursing camp run for the TF at the School of Artillery in their brand new buildings in Linton Camp. Here the Guns and Signallers Basic were schooled and instructed in the bread and butter of gunnery – drilling and familiarity with the Light gun; and the passage of swift and effective fire orders over a radio net. For the first time in many years, 4 TF students were also qualified as CPO’s. It has also provided an opportunity to kindle a closer affinity with the Regiment. This can be seen both in attendance on RF exercises, and in Regimental activities. 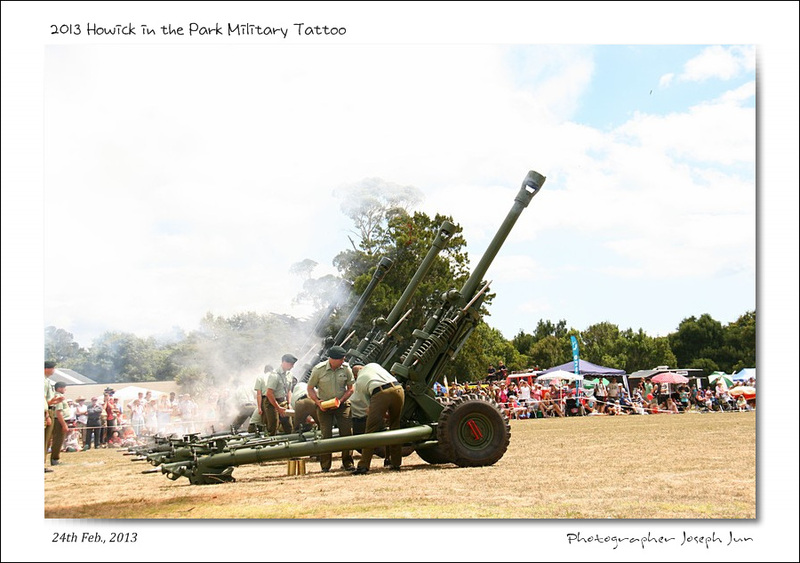 Recent examples are a mixed battery crew for an 1812 Overture in Howick Park Auckland, as well as a strong TF presence on Exercise Kiwi Koru, a combined arms live firing, 1 (NZ) Bde exercise in November 2012. Looking towards the future, 2013 is already shaping up to be a good one. By the time this article goes to print, the Battery would have conducted its first exercise for the year. Ex Tuu Taua will focus on all-arm skills such as the conduct of a combat patrol, weapon drills and CAEVAC procedures. The main effort for April as usual is ANZAC Day, with 11/4 Battery providing catafalque guards in Swanson and Papakura, and a minute gun in Hamilton. Training in May, August and September as well as testing the Battery in their all arms skills, will teach, develop and hone gunnery skills. This will include deployments around Auckland in Kaipara, Ardmore and local farmland. This is all in build up for the annual TF Live Fire Exercise (LFX), scheduled for November 2012. Re-aligning with 16 Field Regt has brought its fair share of challenges however; namely with the integration of mortars and the standardisation of fire discipline across both weapon systems. The Battery has still not reached full integration, however with more training and ‘time on the steel,’ the Battery will soon be at a suitable state. With the closure of the ANR chapter of the Battery history, its re-establishment with 16 Field Regt has brought about a new one. Whilst this brings about its fair share of challenges, the officers and soldiers of 11/4 Battery are more than up to the task of meeting them.